Confederate soldiers were often low on supplies and food rations. They had to make do with ingredients found nearby. Confederates published a fun book of recipes in 1863 called Confederate Receipt Book. I tried one of the biscuit recipes. In reading the recipe before starting, one thing that struck me was that they used cream of tartar. Other food recipes called for tartaric acid. I hadn’t used that in biscuits and wondered if it was a readily-available ingredient for Southern soldiers. A little research showed that many plants, including grapes, have tartaric acid, which is an organic acid. The process of making wine creates cream of tartar. It is a leavening agent. Since food supplies were often scarce for Southern soldiers, it makes sense that they used whatever they had on hand and adapted it. Measure 4 cups of all-purpose flour into a mixing bowl. Add 3 teaspoons of cream of tartar and mix thoroughly. Add 2 tablespoons of shortening. Use a fork to cut the shortening into the flour mixture. It won’t look much differently after combined because it’s not a lot of shortening. Most modern recipes call for ½ cup or ¾ cup of shortening (or butter) but I wanted to try the Confederate soldiers’ recipe so I didn’t alter it. Dissolve 1 teaspoon of baking soda into about 1 ½ cups of warm water. Stir and add to the dry ingredients to make a dough. 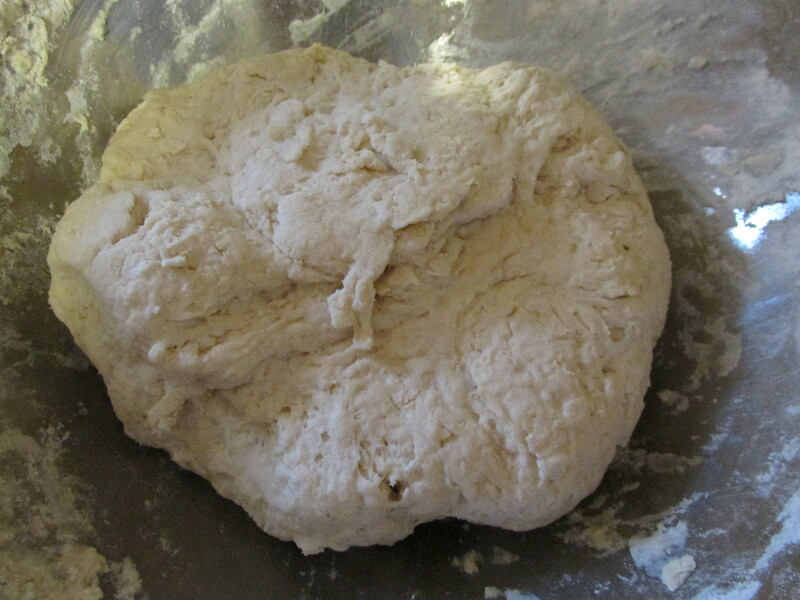 If more water is needed, add a little at a time until the dough is the right consistency. You may notice, as I did, that there is no salt in this recipe. I didn’t add any. I imagined that soldiers baked their biscuits in a skillet. 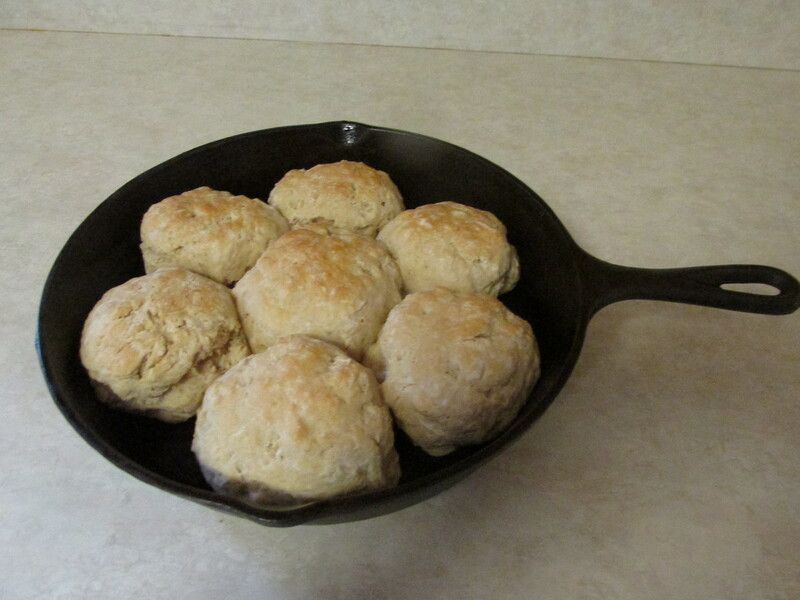 I greased the skillet with shortening—not cooking spray because the men in Civil War camps didn’t have that. I baked my biscuits in a 425 oven for twenty minutes and then increased the temperature to 450 for another 4 or 5 minutes because they were taking longer than normal. I usually bake food at 425 if the recipe calls for 450 because it’s easy to burn. 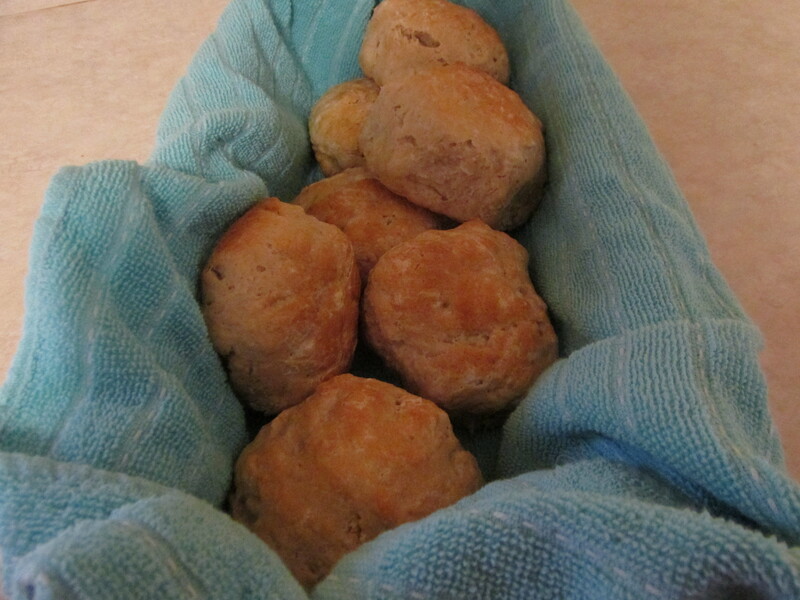 Next time I will bake these biscuits at 450 for 12 to 14 minutes or until lightly browned. They rose nicely in the oven, almost doubling. They looked great. The consistency was really nice, but I missed the salt. It would have tasted better with a teaspoon of salt in the flour mixture. I wondered at first if salt was often in short supply. Maybe that was the reason for omitting salt from biscuits. Then another possibility occurred to me. Salting meat was a way of preserving it before refrigeration. If the meat was already salty, the soldier probably didn’t need it in the biscuits, too. 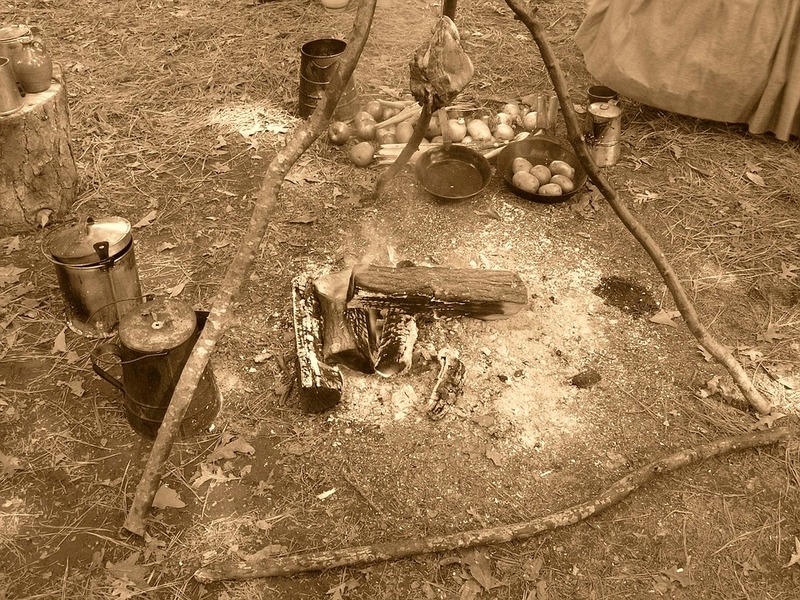 Most Civil War soldiers didn’t know much about cooking at the beginning of the war. Mothers, wives, and sisters usually did the cooking and baking back at home. The men adapted pretty well . . . and even published a few of their recipes! A Compilation of Over One Hundred Receipts, Adapted to the Times. Confederate Receipt Book, Applewood Books, 1863. “Tartaric Acid,” Wikipedia.com, 2017/02/06 https://en.wikipedia.org/wiki/Tartaric_acid. Movies can have noise issues. Historical fiction writers who ignore all important news of the time period create noise issues. John D. Billings, a Union Army soldier, served as a private in the Tenth Massachusetts Battery for three years. He taught school after the war. He also wrote Hardtack & Coffee, a book originally published in 1887. Billings talks about food rations. As a soldier in the Army of the Potomac, he did not remember being without rations more than a day or so. Wagon trains were often several hours behind when on the march or in battle. Soldiers generally had advance notice of a delay in receiving their rations and ate sparingly of food they still had in their haversack. The quality of the food left something to be desired. Armies served quantities of stale beef or salted beef (soldiers referred to salted meat as “salt horse”) or unwholesome pork. Hardtack, a plain flour-and-water biscuit, was often so hard that soldiers couldn’t bite it. A strong fist blow could break them. According to Billings, soaking hardtack didn’t soften it. Instead the soaked cracker eventually turned elastic like gutta-percha, a tough plastic material resembling rubber. Yuck! Another problem with hardtack is that they were sometimes moldy and wet when privates received them. Billings believed the crackers had been packaged too soon, perhaps still warm from the oven. Hardtack also got damp in wet weather when stacked at railroad depots awaiting trains to take them to army camps. Billings blamed inspectors’ negligence for food, ruined by rain or sleet, reaching the army camps. It gets worse. You may want to skip the next paragraph. Hardtack sometimes became infested with weevils and maggots in storage. This problem wasn’t usually enough to keep them from being distributed. Soldiers still drew the infested crackers as rations. Nine pieces of hardtack were a single ration for some regiments while ten pieces were given in others. It was usually not a problem either way; there was enough for those who wanted a larger number because some soldiers refused to accept them at all. Billings, John D. Hardtack & Coffee, University of Nebraska Press, 1993. “Gutta-Percha,” Merriam-Webster, Incorporated, 2017/02/08 https://www.merriam-webster.com/dictionary/gutta%E2%80%93percha. “Salt Horse,” Merriam-Webster, Incorporated, 2017/02/08 https://www.merriam-webster.com/dictionary/salt%20horse. When Molly’s adult daughter, Laney, is involved in a terrible car accident, the tragedy affects the whole family. Though Laney survives, a passenger in the car that she was driving doesn’t make it. The loss of Laney’s friend isn’t the only thing on the family’s plate. They soon discover that Laney is paralyzed. Her husband and two young children have to learn how to adjust. Great story about trusting and not trusting God in the midst of difficulties. Readers will find lovable, believable characters that they want to spend time with. 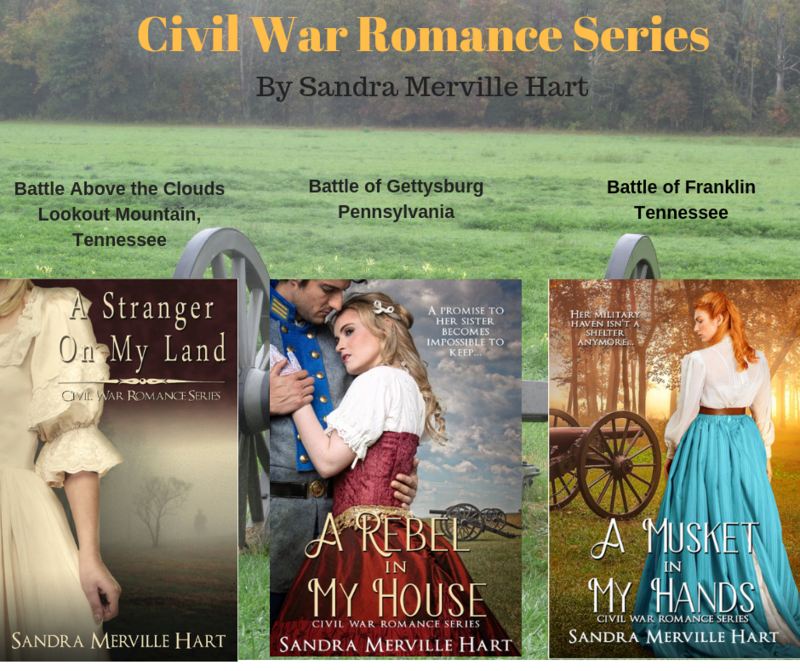 Lighthouse Publishing of the Carolinas Use coupon code SandraMHart for a 20% discount on all Lighthouse Publishing of the Carolina’s books! Recipes used to be called ‘receipts.’ Confederate soldiers were often low on supplies and had to make do with ingredients found nearby. Confederates published a fun book of recipes in 1863 called Confederate Receipt Book. It contains a variety of recipes for many things needed in an army camp. One of them is a recipe for making tooth powder from charcoal. 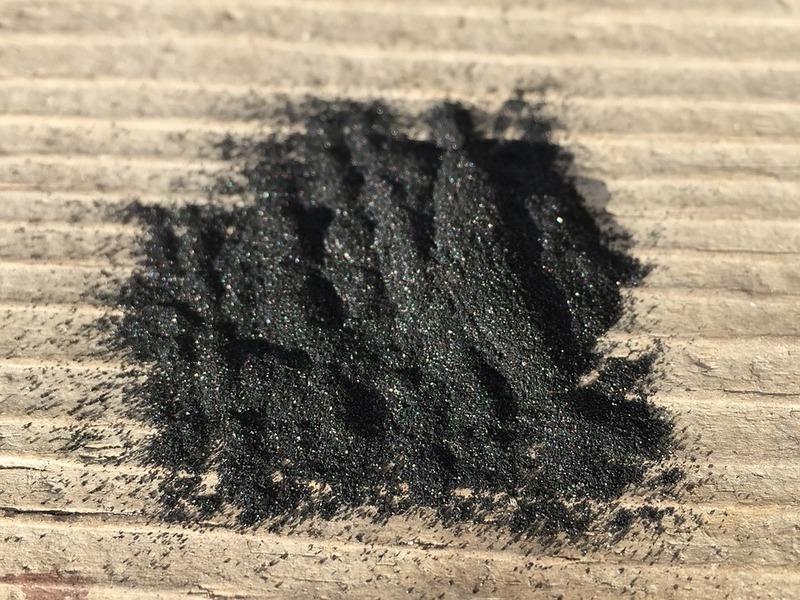 Charcoal is made by burning wood, so Confederate soldiers would have had an abundance of this in their army camps. To make tooth powder, pound charcoal in a mortar as finely as possible, or it could be ground in a mill. Sift it well. Grinding charcoal in a mortar using small amounts of water kept the dust from flying around. It was also easier to use when stored in water. There are currently charcoal toothpastes on the market. This old-fashioned tradition for cleaning teeth seems to be making a come-back but experts warn they don’t know the long-term effects. Still, it’s fun to watch wisdom from the past making a reappearance from history. Mulpeter, Kathleen. 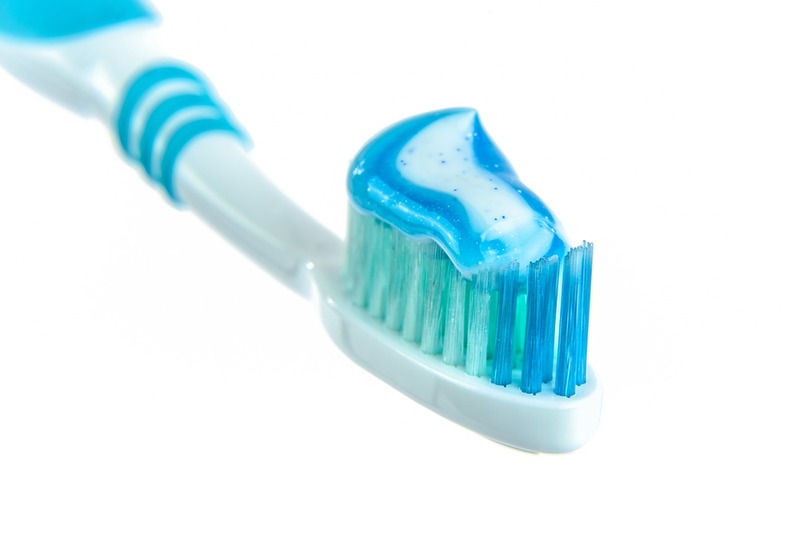 “Is it safe to Whiten your Teeth with Activated Charcoal Toothpaste?” Health, 2017/02/03 http://www.health.com/oral-health/charcoal-toothpaste. If you like bats, you’ll enjoy watching the bat flight, a nightly occurrence at Carlsbad Caverns National Park! Click here to discover more about this park in New Mexico. If you missed my last post about earning forfeits during parties over a century ago, click here. Paying game forfeits was a fun ending to an evening’s entertainment. To give an idea of the types of forfeits, here are a few of the penalties that players suffered. 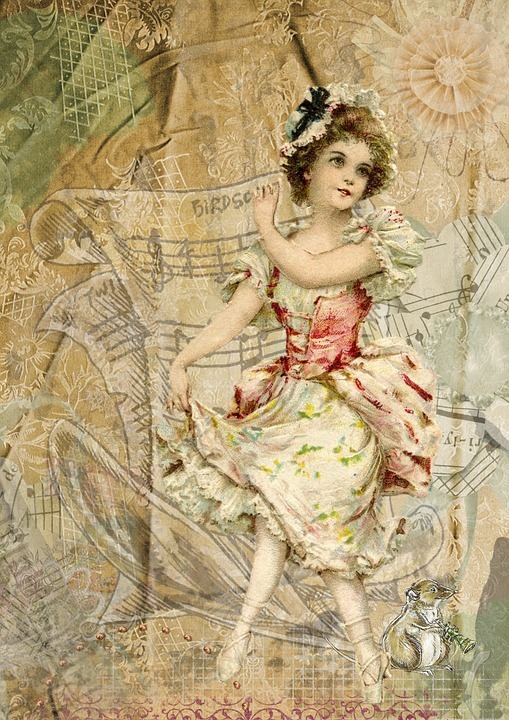 Laugh in one corner, cry in another, sing in another, and dance in another. Bow to the wittiest, kneel to the prettiest, and kiss the one you love best. Make a wallflower of yourself. If the one paying a forfeit is a lady, she must stand with her back against the wall and remain there until she has been kissed twice, once each by two different gentlemen. (She has to invite them to kiss her.) If a man is the wallflower, he stands against the wall until a woman takes compassion on him and releases him from his punishment by kissing him. Say “Quizzical Quiz, kiss me quick” six times without taking a breath. Smile without laughing in each corner of the room. These are just a sampling of the type of forfeits given for making mistakes in games, intended to spark good-natured laughter and fun. For other old-fashioned party ideas, read Evening Amusements for Old Fashioned Themed Parties – Part 1 for food ideas. Part 2 explains the Game of Concert. Part 3 shows two games that allow guests to show their creativity. Read part 4 to find how to play a fun game called “Tip It” or “Hands” that moves quickly. Planche, Frederick D’Arros. Evening amusements for every one; a collection of mirthful games, parlour pastimes, shadow plays, magic, conjuring, card tricks, chemical surprises, fireworks, forfeits, &c., illus. by George Cruikshank and others, Porter and Coates, ca 1880. 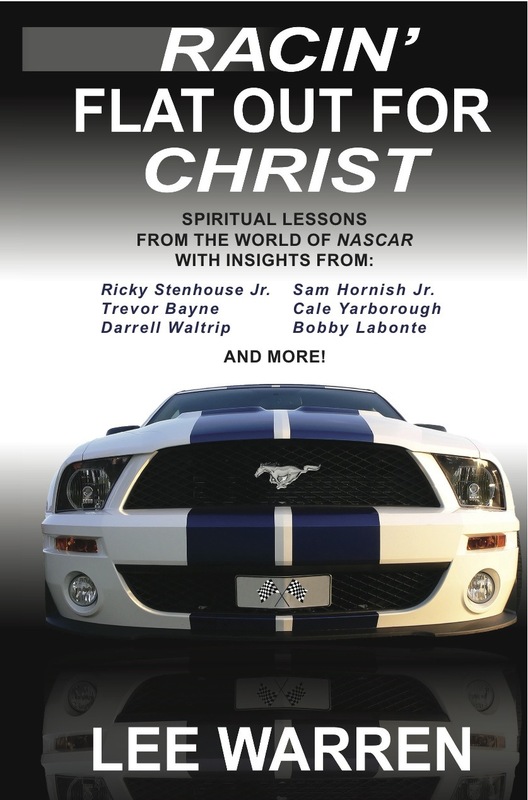 This devotional book is packed with examples from the world of NASCAR racing of drivers who follow Christ. Readers will be inspired by a variety of stories including one of anonymous private donations to a young driver winning his first race and giving the glory to God. Great book for NASCAR fans! Confederates published a fun book of recipes in 1863 called Confederate Receipt Book. It contains a variety of recipes for many things needed in an army camp. One of them is a recipe for making soap. Boil 12 quarts of water and pour it over 5 pounds of “unslacked lime.” Terms and spellings of words changed over 150 years. I looked up unslaked lime, which is a white crystalline oxide. Set aside the lime and water. Boil another 12 quarts of water. 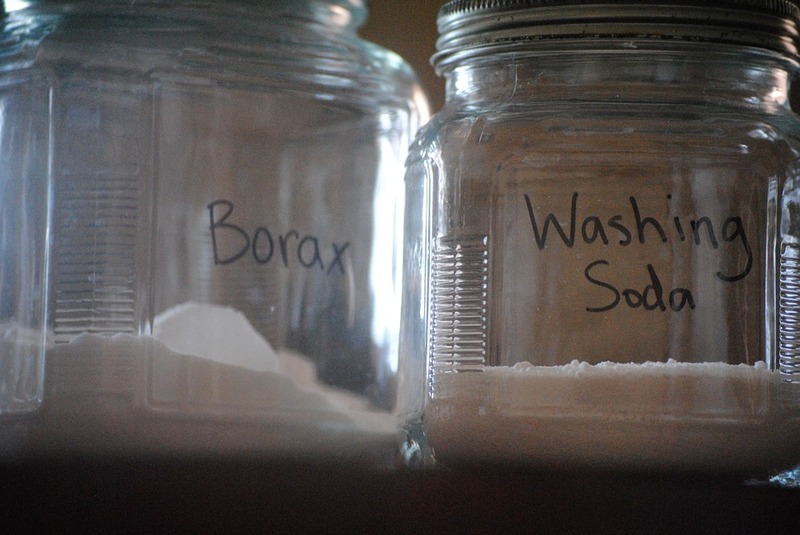 Dissolve 5 pounds of washing soda in the boiling water. Baking soda, known as sodium bicarbonate, becomes washing soda by heating it. Once the soda is dissolved, combine the mixtures together. Let it stand for 12 to 24 hours to allow chemicals to react. After it sets for a day, carefully pour off all clear liquid without disturbing the sediment. Add 3 ½ pounds of clarified grease and 3 or 4 ounces of rosin, which is a solid resin from pines. Boil the whole mixture together for an hour. Pour to cool into pans. Slice into bars for use. 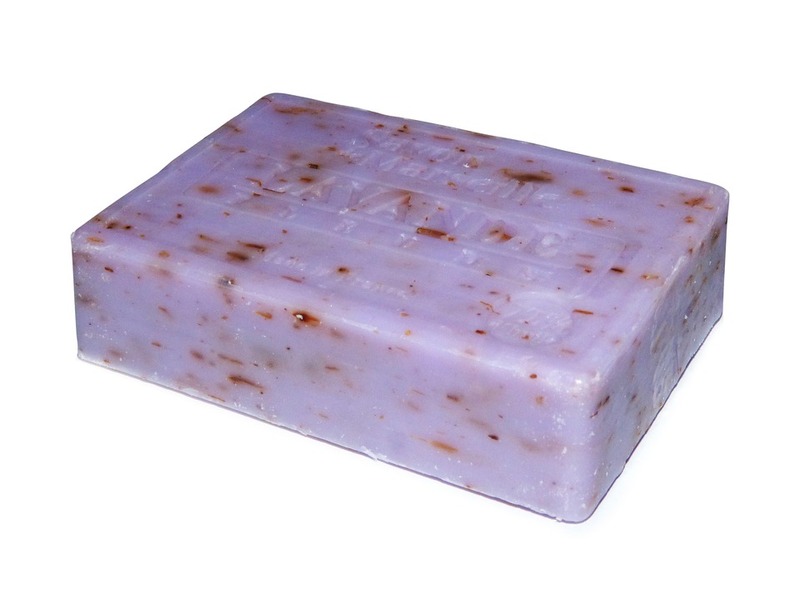 There is no mention how much soap this recipe makes, but it seems like enough for many soldiers to walk away with a bar of soap. “How do you turn Baking Soda into Washing Soda,” Reference.com, 2017/02/03 https://www.reference.com/home-garden/turn-baking-soda-washing-soda-9d1fdee9f330c19. “Unslaked Lime,” WordNet Dictionary, 2017/02/03 http://www.webster-dictionary.org/definition/unslaked%20lime. Ever wonder why North Carolina is called the Tar Heel State? The nickname goes back several decades. Click here to find out this and other fun facts about the state!